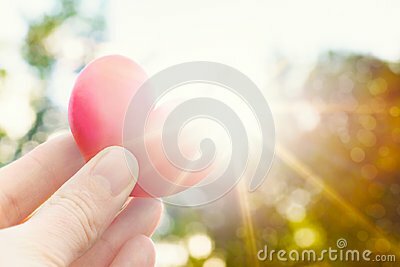 Unrecognisable person holding heart shaped plum against the sun. Love concept lifestyle image with sun flare. Valentine`s day background.